OK, I haven’t read the book…but I saw it at Borders. I read the line on the bottom by Eugene Peterson (comparing it’s importance to Pilgrim’s Progress) and it made me scratch my head. So what is this all about? I went to Tim Challies’ site to see if he had anything to say…unfortunately it doesn’t sound good at all. Challie puts lots of quotes in his write up, and he is a balanced reviewer. His conclusion…don’t waste your time. 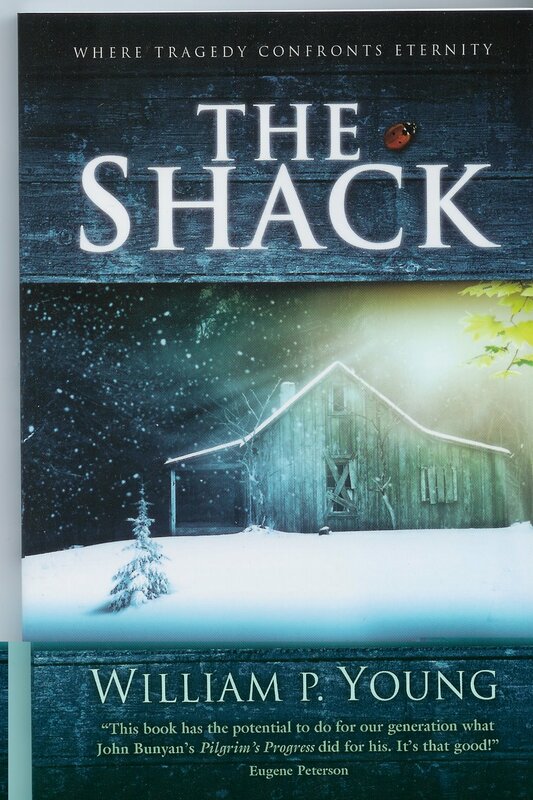 The world is going crazy over this, but it doesn’t appear that the answers provided by the shack to the problem of evil (depicted in the murder of a little girl) are really Biblical answers. Doug Wilson also gives it a thumb’s down (to put it lightly), he is not one of my favorites, but he is a literature guy. For anyone still reading….Al Mohler did an episode on his radio program analyzing the book. I think this will become something of a fad with some emergent folks and hopefully only a minor distraction in the long run. What is not a minor distraction is the mindset that it grows out of…the post modern, group hug, everyone is right and no one is wrong mindset.